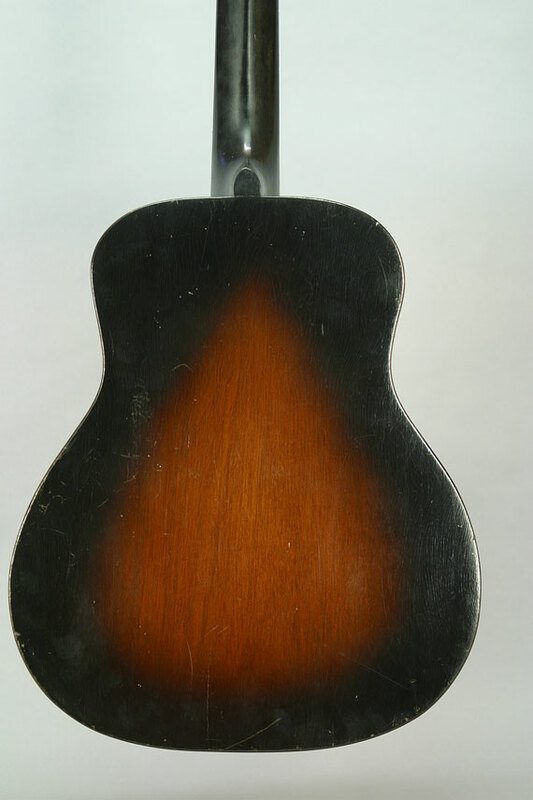 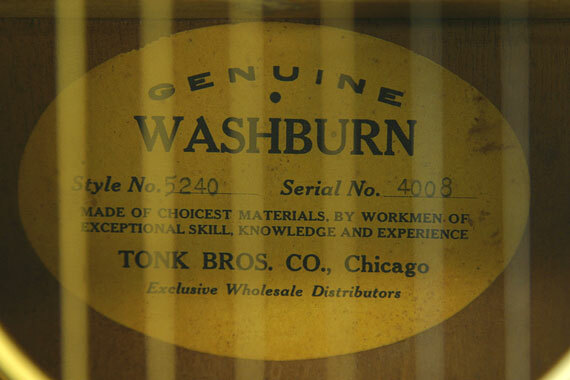 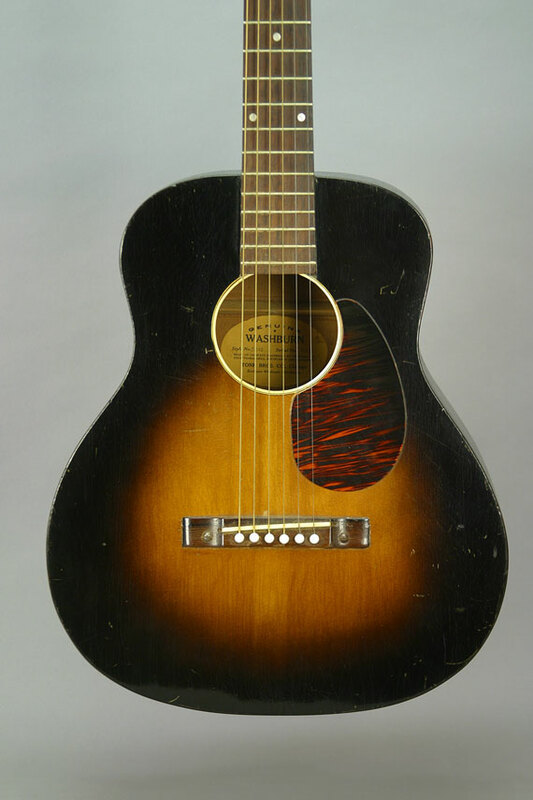 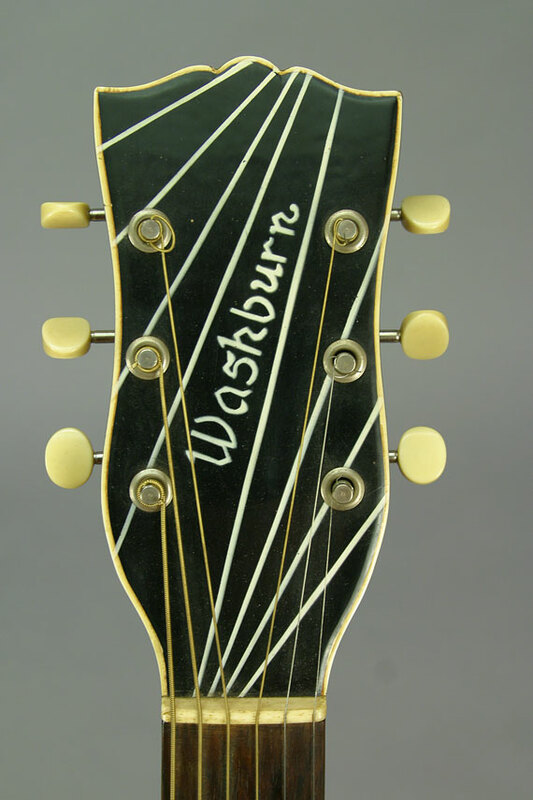 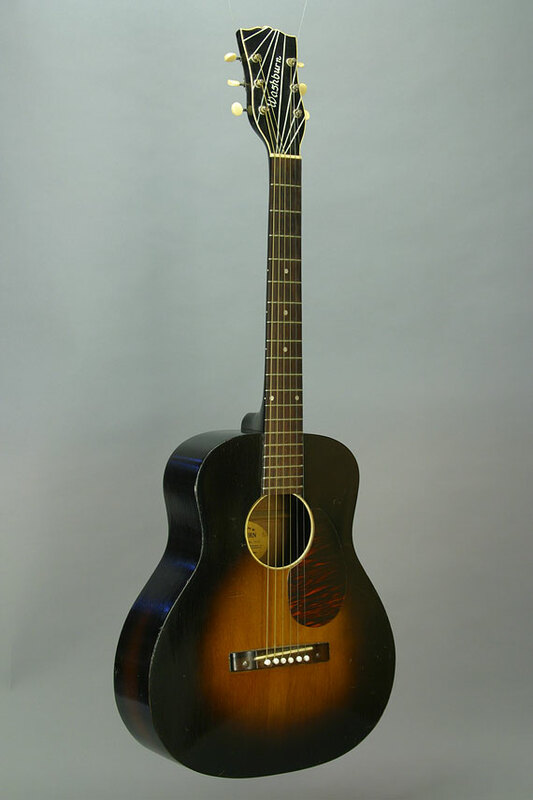 Here's another of those rarely seen Washburn models distributed by the Tonk Brothers. 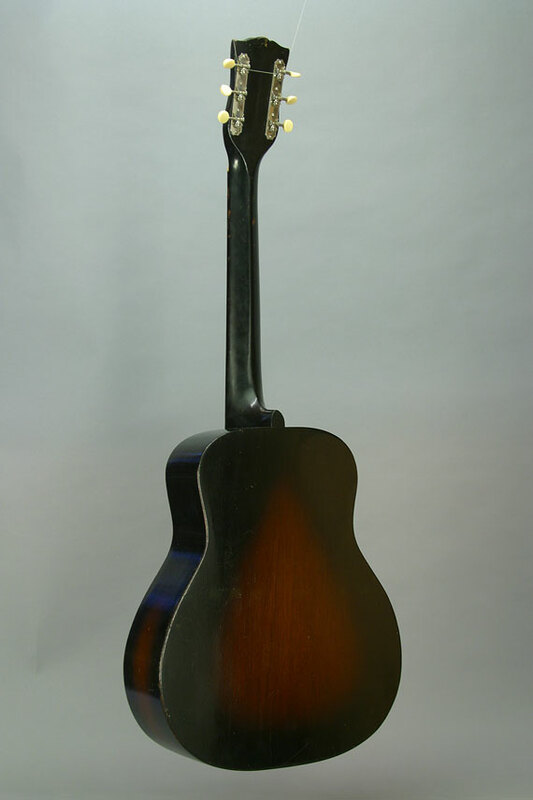 This one features a "Kalamazoo" style body with mahogany back and sides, and sunburst finish (body by Gibson?). 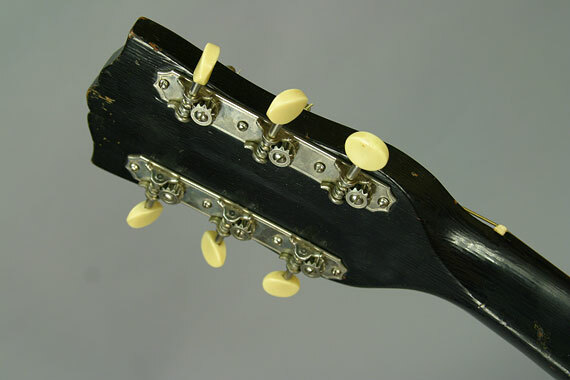 An engraved plastic peghead overlay is a unique decorative element.